On Wednesday, Dec. 14 at 11:17 p.m., the Burlington Township Police Department was notified that an 18-year-old male was at Virtua Memorial Hospital in Mount Holly to receive treatment for severe facial fractures that he sustained during a road rage incident that occured in Burlington Township. Responding officers discovered that the incident began when the victim inadvertently cut off the suspect while driving on Bromley Boulevard near Hancock Lane at approximately 10:25 p.m. that evening. In response, the suspect tailgated the victim and followed him into a nearby neighborhood where he confronted him, punched him in the face and knocked him to the ground. The suspect fled the area when several people exited their nearby homes due to the commotion. 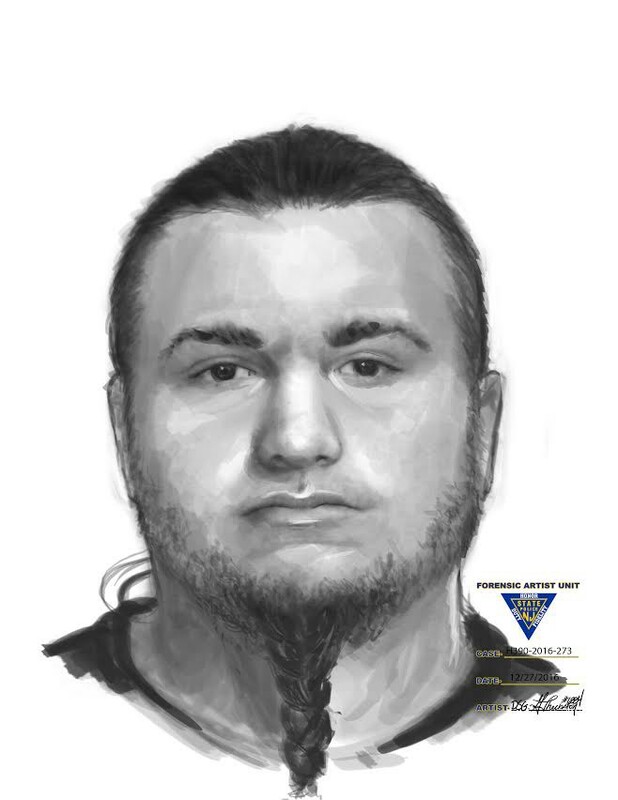 The suspect is described as a white male, approximately 19–25 year old, stocky build with a braided goatee and pony tail wearing a blue hooded sweatshirt, gray sweatpants and flip flops. The suspect’s vehicle is described as a blue Chrystler 300 with tinted windows and a chrome grill. A composite sketch of the suspect is included above. Anybody with information regarding this investigation is requested to contact Det. Hreso at 609–239–5865 or threso73@burltwppd.com.